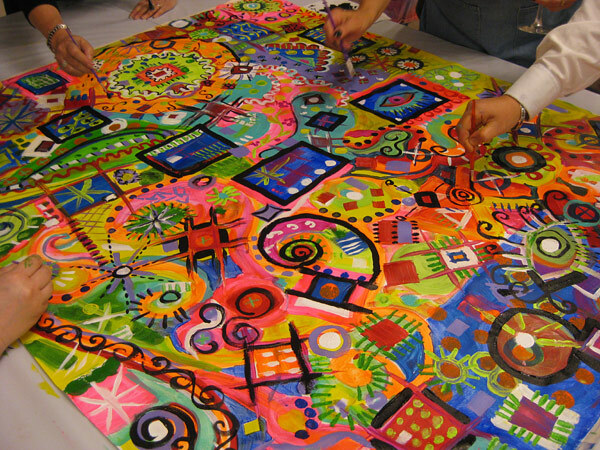 In this half day workshop we work together to paint a large piece of unstretched canvas. Come paint with us as we explore the art of working together to create a one-of-a- kind collaboration. At the end of the class the canvas will be divided and each student will receive a section to use in a quilt or other mixed-media project.